I love my kids so much I could squeeze ’em all day long! I’m positive I’m like no one else! No one is the same as me, I’m different. All are different. So, don’t sit there and think, “Everyone’s the same!” But you aren’t because God made some people with disabilities and some not. But that not what makes us different. Whats in our heart makes a difference. Like, whatever we believe in gay marriages or regular. Some believe in the after life, but some don’t. So, don’t feel like everyone’s the same because they’re not. So, don’t listen to people who say, “Well, you’re the same as me because we look the same.” But still your not the same. Be yourself. My 14 year old has been wanting to dye the bottom layer of her hair since last summer. I finally conceded and told her that she could. I’ve decided that it doesn’t really matter what anyone thinks, as long as she is happy with it. She doesn’t do drugs, she doesn’t smoke, drink or party. She loves the Lord with all her heart, mind, body and soul. She is an “A” student. She is a beautiful, energetic, young woman seeking her way in life. I am so proud of her for being a bold young woman who isn’t afraid to make a stand! I remember when I was a senior in high school I took a WHOLE bottle of SUN-IN hair lightener and sprayed it in my hair, then used a blow dryer on it! I was immediately a carrot top! My senior pictures show me as having orange hair. But I was smiling the whole way! Live and learn! So, we have decided that this is Corynn’s PENTECOST hair. We are visiting our friend Betsy’s church tomorrow, where she is the Pastor, and she told us to where RED for Pentecost. Corynn said she didn’t have any red to wear. Well, she does now! Look at the picture though…remember the POWER that came upon the Apostle’s at Pentecost? Check out Corynn’s shirt. A coincidence? Hmmm…. 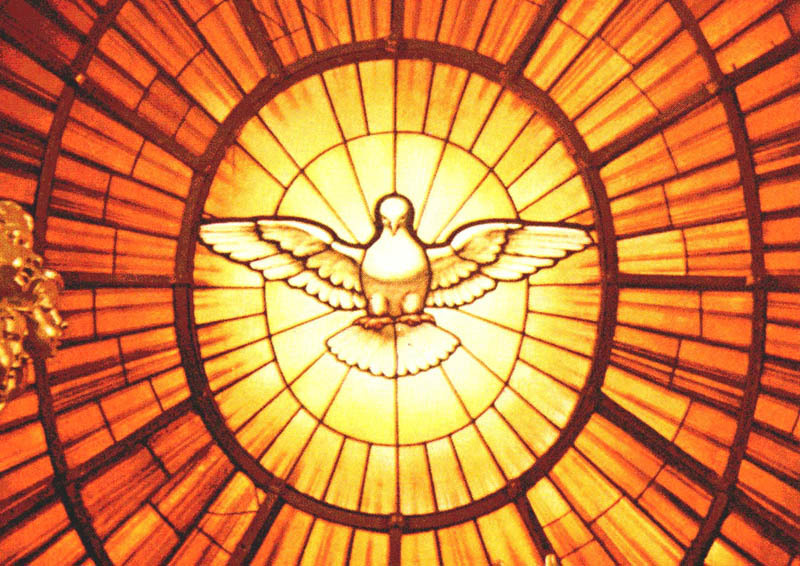 Hope you all have a wonderful Pentecost Sunday! One evening, many years ago, I was traveling from my job in Charlotte, NC to my home in Stanfield, NC ( about 20 miles), thinking about how tired and sore my feet were from the days work I had just done. All I wanted to do was get home and pamper them before going to bed. As I was driving along, listening to the radio, I suddenly noticed that the trees were dipping and lurching in front of me, to the side of me and all around me. There was trash being scattered across the road like a tumbleweed in the desert. Straight ahead of me the sky was a black, inky, ominous mess. I feared for my life. The radio went mysteriously quiet only to be replaced with the blare of the emergency broadcast system signal. A tornado warning. With my stomach rising into my throat, I pushed my foot into the gas pedal, forgetting how sore and tired they were, pleading and begging the little Mustang to go faster, farther, harder, to get me home, out of the storm and into safety. On the day of Pentecost the Apostles were gathered in one place. 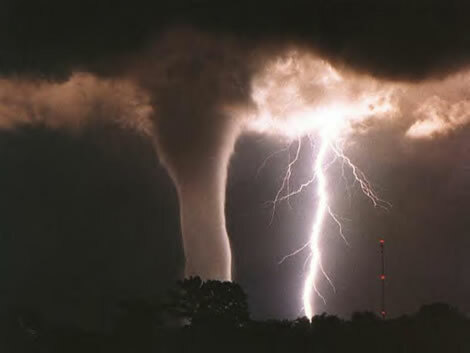 All of a sudden a sound like the blowing of a violent wind came from heaven and filled the whole house. ( Acts 2) They saw tongues of fire that seperated and came to rest on each of them. There were all filled with the Holy Spirit and began to speak in other tongues as the Spirit enabled them. They were completely under the control of God. Just as the wind whipped around my car in the impending tornado, God moved in and among the Apostles and took over. A mighty work was done that day and in the days to come. These men were accused of being drunk! People thought they were nuts. But they weren’t. Scripture was being fulfilled. The Holy Spirit empowered the Apostles to be bold and to witness to everyone about Jesus Christ. Jesus is our future and hope. This is a time to celebrate that hope, a time to be renewed and a time to praise God! God was revealed that day by the blowing of a violent wind- getting everyone’s utmost attention, just as the wind of the storm quickly and violently grabbed my attention, making it a ride home I will never forget, telling everyone! As I pulled into our driveway that night, the sky was insistent on rolling and dipping, dark and mysterious and just plain scary! I threw the car door open, not caring if it shut, and ran with all my might to the house. I couldn’t get the door open fast enough. When I did, the wind flung it open, slamming it against the side of the house. I was out of breath, scared and babbling like an idiot to my husband. I imagine this is a teensy bit like the Apostles felt, breathless and left in awe and wonder at what God was doing among them. Out of control, but in GOD’S control, just as the storm left me. This storm is really no comparison to Pentecost, but it is the closest thing I’ve ever experienced to what it might have been like. Just as the Apostles told everyone about thier experience, I have too and I am still telling the story today. Just as the Apostles are to us, through the Holy & Divine word of God which was first God breathed to Moses to share with the world. Psalm 96: 1-2 Sing God a brand-new song! Earth and everyone in it, sing! This says, ” Jesus Loves You” in Chinese. I told my daughters that love has no boundaries and that we speak love in any language. My 8 year old is so excited to have this new friend and she has been intentional in making her feel welcome and loved. I watched them play together the other day for the first time and it was amazing. They didn’t understand each other very well, but it really didn’t matter, because then they started to draw pictures. The pictures spoke volumes! This only affirms to me how important art is in our daily lives. It is a tool to get beyond that language barrier. It is a tool that the uneducated and illiterate have understood for thousands of years. The phrase, ” A picture says a thousand words” really does mean something to people who cannot read or understand one another. I am more determined than ever to continue doing what I do best. To share the gospel message through the gift of art that God poured into me. Meeting this Chinese family has given me a new spark, a revival of my spirit, an affirmation. Discerning and doing God’s will is never easy. I have been asking myself many, many questions. I have even been doubting myself lately. I guess we all do from time to time, don’t we? God keeps throwing these opportunities my way and I feel like He is saying, ” okay, let’s see what you will do with this…” Meeting this Chinese family has been an eye opener for all of us. My 14 year old wants to learn Chinese now so she can communicate and my 8 year old has shown unconditional love for her new friend. She has been a friend to her even when the other kids thought the new kid was weird, made fun of her, etc.. I am so humbled to have these two young ladies as my daughters, thank you Lord! If you live in Hillsville, take some time out to meet this wonderful family. Get in touch with me and I will let you know where they live. They need to see Jesus and they can see Him through each of us, in our hands, feet, our love, and even in our language barrier. Make them some cookies, bake them some bread, send them a card, paint them a picture. Let’s love them like Jesus does! In today’s post you will see images of poverty around the world, from here in the USA to Africa, Pakistan, etc. Jesus commands US to DO, not to sit around and wait for someone else to do it. I hope this will help raise your level of awareness. The wealthy on the left, the poor on the right receiving food. Not much has changed, has it? Kids living in the dumps of Pakistan. Scrounging for food among the trash. Pakistan. While I may have chosen the wrong word-scrounging-the purpose of this post is to raise awareness about poverty around the world. The author of the comment has responded below in the comment section of the post. These people are “recycling paper, plastic etc., to sell – in order to buy food.” Please pray for the people around the world who live in poverty, are underfed, abused, homeless and alone. 14-16“Here’s another way to put it: You’re here to be light, bringing out the God-colors in the world. God is not a secret to be kept. We’re going public with this, as public as a city on a hill. If I make you light-bearers, you don’t think I’m going to hide you under a bucket, do you? I’m putting you on a light stand. Now that I’ve put you there on a hilltop, on a light stand—shine! Keep open house; be generous with your lives. By opening up to others, you’ll prompt people to open up with God, this generous Father in heaven. Shine on readers! You are the only JESUS some people and animals may ever see. In this video you will meet Bishop James Swanson. He is the Bishop of the Holston Conference of the United Methodist Church, and he has a heart that is burdened for the people of Sudan. Please take some time today to prayerfully watch this video and ask yourself what YOU can do to bless someone in Sudan today. Last night we heard Mary Damron, spokesperson for Operation Christmas Child, speak about sending Shoeboxes to needy children. Mary spoke from a heart that has been burdened for the children of this world. She spoke the truth with an urgency, she sent out God’s plea to us to help however we can. She spoke of children living in dumps, homeless and working as prostitutes. She shared how the orphanages in these countries are like “warehouses”, a place to store a child and thier few belongings. That is appalling to me. All children deserve to live in loving homes, even though I know they don’t. There are so many children who are unwanted by thier parents in this world that it makes my heart ache and I really don’t know how to make it stop. I don’t think I want it to. Because if it does, then I have become complacent. I don’t want that to happen either. I know I can’t save them, but I do know that I can help them to have hope and to know that they are loved and wanted by God, by sending a shoebox. Mary’s message has burdened my heart even more for these children. My heart broke as she shared the story of the little girl who received a new doll with a white dress on. The little girl lived in the garbage dump and she was filthy. She tried so hard to keep the doll from getting dirty. Mary said that she could tell that the little girl hadn’t been there long because she still KNEW she was dirty. The other kids had gotten used to it and it didn’t phase them one bit. But this little girl was ashamed and she wanted to keep her doll as clean as snow. In my mind, I wanted to whisk that little girl up and carry her away so she’d never have to be ashamed of her dirt again. God doesn’t see the dirt. He sees the beauty of His creation in each and every one of us. He sees the end of the story. He sits in the new heaven, awaiting our arrival, at the ready to wipe away every tear, to banish death, sorrow, & pain from our lives. He says, ” BEHOLD, I MAKE ALL THINGS NEW” my child. I am waiting for you like a husband awaits his beautiful bride. YOU are beautiful and I love you! ALL OF YOU! Come, sit with me forever. Can you see that? Can you see yourself in God’s lap? I see everyone of these children there. That is thier hope. To be cuddled up in Papa’s arms, never hungry, hurting or crying again. Clean, warm and loved. I implore you to send a shoebox this year.